I have always loved Easter. As a kid, it was all about candy, the Easter bunny, and getting to dye Easter eggs. As an adult, it obviously holds much more meaning than all of that. This doesn’t mean, though, that I no longer look forward to all of the fun activities that go along with the holiday. Some of my best memories from Easter are of our annual family “Easter egg hunt.” I put that in quotes because we didn’t actually hunt for eggs, but for candy. All of my mom’s side of the family would get together for dinner on Easter. Then, after dinner, all of the kids had to go upstairs, while the adults hid individual pieces of candy all over the lower level. When they called us down, it was just a free-for-all to see who could find the most. We all had a blast, and everyone ended up with a basket full of candy. My parents have said that if my grandpa was involved in the hiding, that they would be finding candy randomly for months afterwards. He was ruthless! Ha! My own daughter just turned two. So, most holiday traditions are still a bit beyond her. We are oh-so-close to the point of understanding though, and I can’t wait to start creating holiday traditions like this with her. 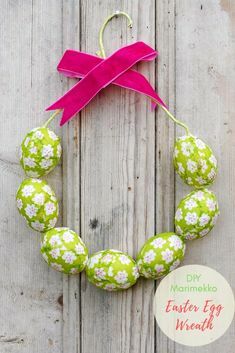 While hunting eggs is a big part of Easter fun, dyeing Easter eggs is also a tradition that just seems to be synonymous with Easter. Every child should get to dye Easter eggs at some point. It’s so much fun! 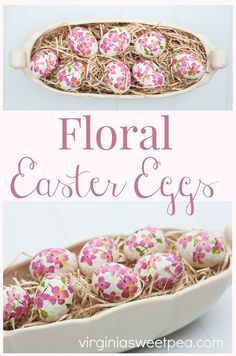 Recently, I saw a couple of videos on Facebook that detailed how to create gorgeous dyed eggs in ways I had never thought about. So, I started digging around looking for all of the various methods for dyeing. I couldn’t believe how many different ways there are to dye Easter eggs! 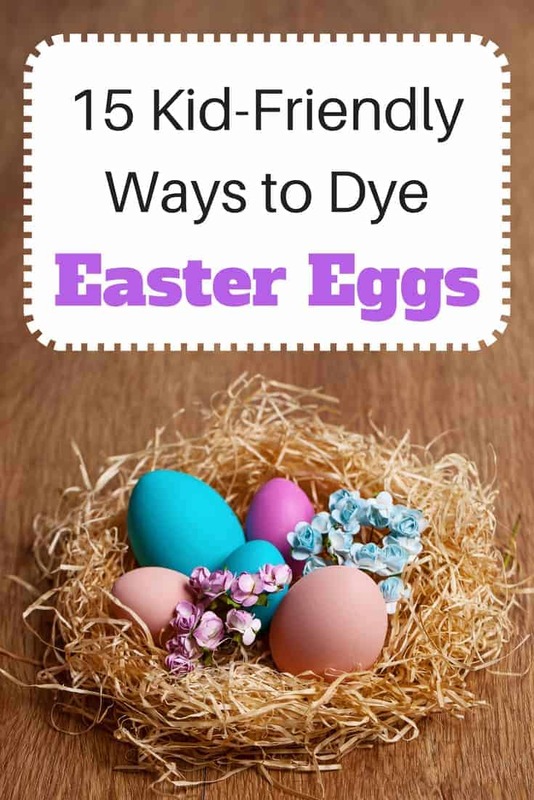 I’ve compiled a list of 15 methods for dyeing eggs. All of these are pretty kid-friendly. A couple may require somewhat older children, but there are also a couple in here that could work for my 2 year old. Yay! Note: Not all of these methods produce edible eggs afterwards. So, just take note, if you are hoping to eat yours afterwards. How to Dye Easter Eggs the Easy Way – With Shaving Cream! I’m thinking the one using rice and food coloring would be a good option for my two year old to help out with. It seems like it would be relatively mess-free. I also think she would enjoy helping out with the tissue paper method. I will definitely be trying the silk necktie version at some point, as well as the melted crayons. So many great ideas here! What about you? How does your family dye Easter eggs? « The Easiest Fish Tacos Ever! I never knew there were so many different ways to dye Easter Eggs. I took a look at that rice one. My granddaughter is 2 (will be 3 on Easter Sunday) and that one looks perfect for her! Haha! I didn’t either, until I started digging around. So many of them look so easy though, and they make such pretty eggs! Let me know how the ones with granddaughter turn out! Dyeing Easter eggs is so much fun! It can get very messy, though. I think my kitchen floor still has some pink spots from last year. I can’t wait to try some of the less messy ideas on your list. It IS so fun! I’m also glad to have found some less messy versions. I think it will be awhile before my daughter is ready for anything more intricate… Thanks for taking a look! O M G These are so cool ideas and they are kids friendly. I would love to do the rubber band and the necktie one with my grandchildren. I had no idea there were so many different ways to dye Easter eggs! The silk neckties sounds like such an interesting way to make them! I didn’t either! It’s fun to have found so many different versions though. Our Easter egg dyeing is set for many years to come. Haha! We love the Kool-aid method and the shaving cream method. I’m going to have to figure out which way we will use this year. Good to know! I’m sure we’ll be trying those out at some point. I’d love to know what you try this year and how it works out! Yes, the egg dyeing from natural ingredients looks like a great way to go! I hope they turn out well for you! Thanks for stopping by! I would love to try this with my grandson. Thanks so much for linking up and sharing with us at #OvertheMoon. Pinning and sharing. I hope you have fun! Let me know which one(s) you try out. 🙂 Thanks so much for the share! So many fun ways! We try to mix it up and try a new way to dye our eggs each year. Pinned. Oh no! Maybe you could do some ahead of time. I hope you still have a nice Easter, even though your daughter won’t be around. Thanks for taking a look! I think I just found out how we’re dying our Easter eggs this year! My kids would love to give the Cool Whip Method a try, though they might end up eating more of it than using it to dye…but all in good fun, right? Thanks so much for sharing at the #happynowlinkup!